Posted on January 17, 2019 at 10:23 am. 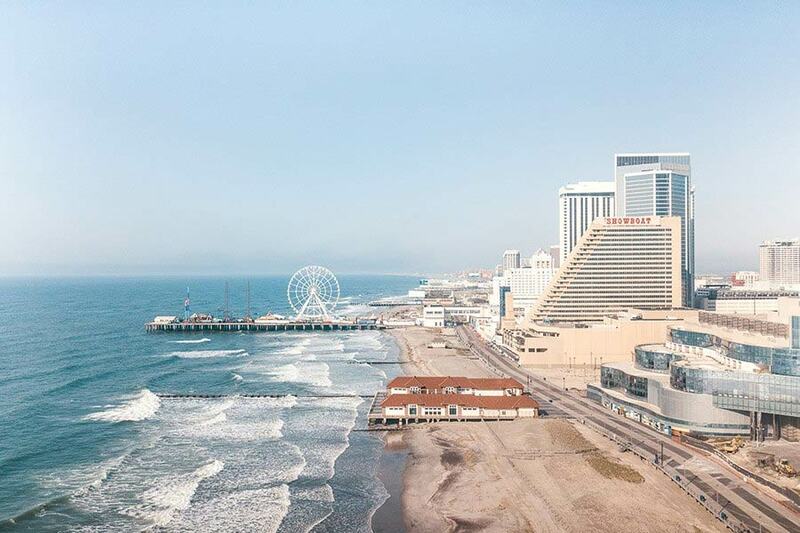 Atlantic City’s casinos saw a revenue increase of 7.5 percent to about $2.86 billion last year thanks to the opening of two new casinos and the launch of regulated sports betting. However, only the two new casinos, Hard Rock and Ocean Resort, made significant gains. Out of the seven old casinos, six suffered losses in 2018 compared to 2017. This has revived concerns about whether Atlantic City can sustain an expansion of its gambling market. New Jerseys casinos and racetracks took in $1.2 billion from sports betting, with $94 million coming in the first six months. Out of that, the state accrued $10.4 million in taxes. Five casinos closed between 2014 and 2016, including Revel and Trump Taj Mahal. Ocean Resort acquired Revel while Hard Rock took over the Taj Mahal. Hard Rock and Ocean Resort casinos both opened on June 27, 2018. Since the closures, Atlantic City has enjoyed a relatively small gambling market with less competition and boost from internet gambling. However, the arrival of Hard Rock and Ocean Resort has upset the balance to some degree. While the casinos have brought employment and an increase in tax revenue, there are concerns as to whether the city can support so many gambling venues in the long term. Chairman of the New Jersey Casino Control Commission James Plousis revealed that Atlantic City had witnessed an increase in gambling revenue for three straight years including 2018. He also noted the arrival of the two new casinos had affected the older ones. “While the city had a good year, market adjustments from competition occurred and will continue into 2019,” he said. Golden Nugget was the only casino out the existing seven to make revenue gains before the new two entered the market, rising 13 percent to $327.8 million. The other six all witnessed a decline, including market leader Borgata. It saw a revenue drop of 4 percent to $771.1 million, Tropicana went down by 2.5 percent to nearly $381 million, while Resorts was down 3.3 percent to $184.2 million. Harrah’s fell by 8.4 percent to about $333 million, Bally’s declined by 9.1 percent to almost $192 million, and Caesars dropped 13.5 percent to $281.3 million.